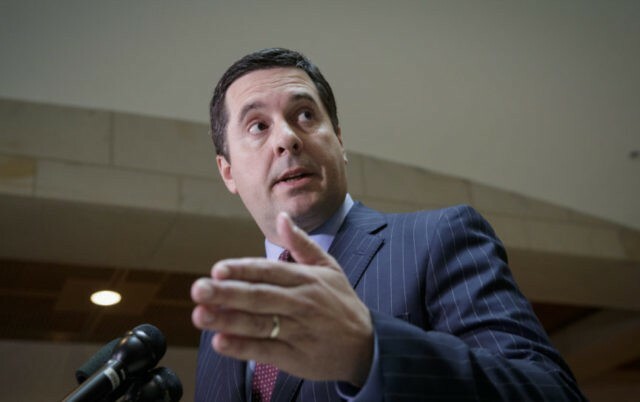 House intelligence committee Chairman Devin Nunes said Thursday the committee has found that senior Obama administration officials unmasked Americans’ identities during surveillance of a foreign target with “remarkably few” specific reasons for doing so. In a letter to the Director of National Intelligence, Nunes said, “For example, this Committee has learned that one official, whose position had no apparent intelligence-related function, made hundreds of unmasking requests during the final year of the Obama Administration. “Of those requests, only one offered a justification that was not boilerplate and articulated why that specific official required the U.S. person information for the performance of his or her official duties,” he added. While unmasking the identities of Americans incidentally swept up in surveillance is not illegal, leaking their names is, and Nunes said some unmasking requests were followed by leaks to the media. “More pointedly, some of the requests for unminimized U.S. person information were followed by anonymous leaks of those names to the media,” Nunes’ letter said. The committee has requested the appearance of former Obama National Security Adviser Susan Rice, former CIA Director John Brennan, and former U.S. Ambassador to the United Nations Samantha Power to testify on the matter. In March, several journalists reported that Rice had unmasked Trump campaign and transition officials. Rice denied doing anything illegal, but did not deny unmasking. Rice supporters have argued she would have needed the information to do her job, but skeptics say she did not have a direct intelligence responsibility. Nunes said he is introducing a bill that would require “individual, fact-based justification” for each request. He said he would work with the DNI to draft the legislation during the August recess.